Over the last two decades Emmanuel Oberg has worked as an international script consultant, in parallel with his writing, on both film and TV projects. Emmanuel no longer does on-going consulting (following rewrites with the writer and producer) as this isn't compatible with his own writing. He focuses primarily on his screenwriting and on the Story-Type Method® series of books and workshops. 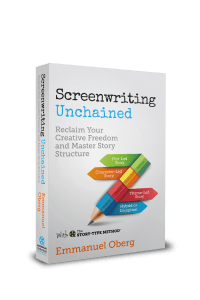 Screenwriting Unchained, the first volume in the series, was published in 2016. However, he still offers one-off consulting on projects, for example to participants of his workshops and courses. He can read an existing draft to discuss it and then write short or advanced script notes if desired. 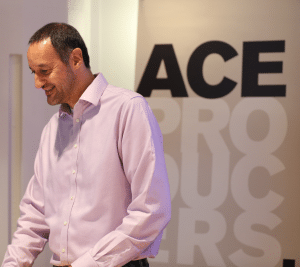 Emmanuel also offers a slate assessment service for producers, which preferably takes place after an Advanced Development Workshop but can also be booked independently. Important note: For various reasons, we can only provide consulting and coaching services to studios/producers, or to filmmakers represented by an agent/manager. Thank you for your understanding! Reading of existing stage (screenplay, treatment) and preparation. Up to 30-minute phone/online meeting to discuss the project. This is the initial stage after which you decide which script notes to commission, if any. These brief notes (1-3 pages) can be sent after a script chat if commissioned within a week. Contains essential points on theme, characters, plot, structure, style. This fee is reduced to £395 if the notes are commissioned with the Script Chat. This advanced report (10-15 pages) adds rewriting directions, action plan, detailed notes and step by step analysis. Includes an additional script meeting (1-2 hours). This fee is reduced to £1,395 if the notes are commissioned with the Script Chat.